Apple’s MacBook lineup has gone through many changes and revisions throughout its lifespan; many of them occurring in just the past year. 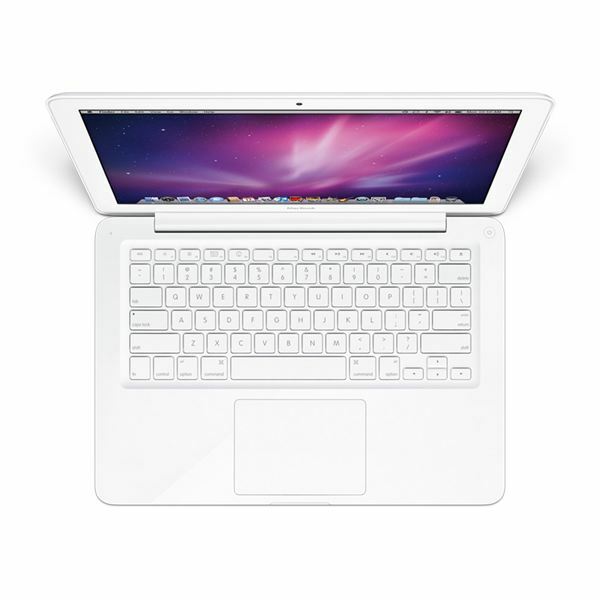 MacBooks were initially introduced in 2006, as three polycarbonate models, two white and one black. In late 2008, the black MacBook was eliminated completely from the lineup, the white MacBook became available in one configuration, and a new unibody aluminum MacBook was introduced. Then, in summer 2009, Apple eliminated the aluminum unibody MacBook from the MacBook lineup all together and renamed it as a MacBook Pro. This left only one base white MacBook in the lineup. Which brings us to today, where that one MacBook has been given a couple of major revisions. At first glance, the new MacBooks may seem to appear unchanged. Same basic color, same basic shape, same basic keyboard layout, and same classic Apple logo. However, a closer look shows that the new MacBooks have been give many qualities that were previously only available in Apple’s more expensive MacBook Pro line. Unibody construction – The new MacBooks are still made of the same plastic-like material. But, they do feel more stabile, durable, and rigid. This is because Apple has incorporated the same unibody design used in MacBook Pros, into the new MacBooks. Rather than being constructed of several pieces, the new MacBooks consist of one main shell. This reduces flex and gives an overall higher-quality feeling. Built-in battery – On previous MacBooks, the battery was actually a piece of the bottom-case of the laptop. The battery could be easily removed by simply twisting a lock on the bottom of the computer. The new MacBooks feature a built-in battery covered by a solid one piece bottom-case. The battery performance has also been boosted. Previous MacBooks were rated at a 4-hour battery life. The new built-in battery claims to bring a full 7-hours of usage to the MacBook. Full Multi-Touch – MacBook’s now have a full multi-touch trackpad. The old MacBooks could only perform basic functions such as two finger page scrolling. The multi-touch trackpad (also on MacBook Pros) will allow the MacBook to perform a various amount of gestures such as pinch, rotate, and zoom. Whole trackpad, one button. LED Screen – Opposed to the LCD screen on previous MacBooks. LED technology is quickly becoming a standard for displays in the computer industry. Now that technology comes equipped in the basic MacBooks. The LED screens are much more reflective and glossy than previous LCD screens; but are drastically brighter. The new MacBooks still have a screen bezel, no edge-to-edge glass. Minor Changes – The iSight camera is now round, rather than square. The sleep light in the front of the computer is now rectangular rather than round.The Mini DVI to DVI/Mini DVI to VGA has been replaced with a Mini Displayport. Those stupid little stoppers on the old screen bezel (the things that used to cut into the top keyboard top-case) have been replaced with a rubber outline. New Magsafe connector. Same concept as old Magsafe, just different design. The new design is much more "rounded". This gives the MacBook a much sleeker, and more modernized appearance. If you were to place the new MacBook next to the old MacBook, you could easily distinguish the two. Features have been improved, and the price remains the same ($1000). Firewire and an SD card slot are still features unique to the MacBook Pro. However, if you don’t use these features it should not be a problem. Overall great improvements. The new MacBook blends well with the rest of Apple’s notebooks.